Let's Take A Shelfie: Canada Reads 2015: Which book will be crowned champion? Canada Reads 2015: Which book will be crowned champion? The 14th edition of the battle of the books is almost here. The CBC Canada Reads debates will take place from March 16-19. 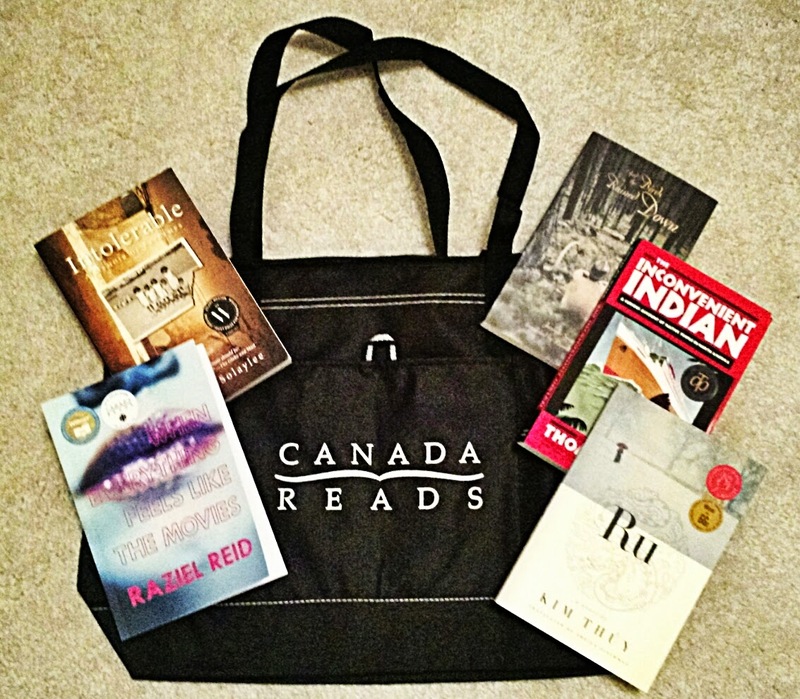 The premise behind the Canada Reads competition is to find the one book that all Canadians should read. I've had the pleasure of reading and reviewing all five books and each one has been such a delight. This year's theme is, "A book that will break barriers", every one of these has done just that. These books include themes such as homophobia, bullying, racial discrimination and immigration just to name a few. I enjoyed each of these books. A couple of them did take a bit of motivation to get through and finish, but they were all definitely worth the time and effort. I can't wait until the debates to find out who the winner will be. For details on how to watch/listen to the debates, click here. I know some readers may not have had the time to read all of the books before the debates. I've included a link to my review and the CBC trailer for each of the finalists below. Have you read them all? I'd love to hear your predictions. Let me know in the comments below.